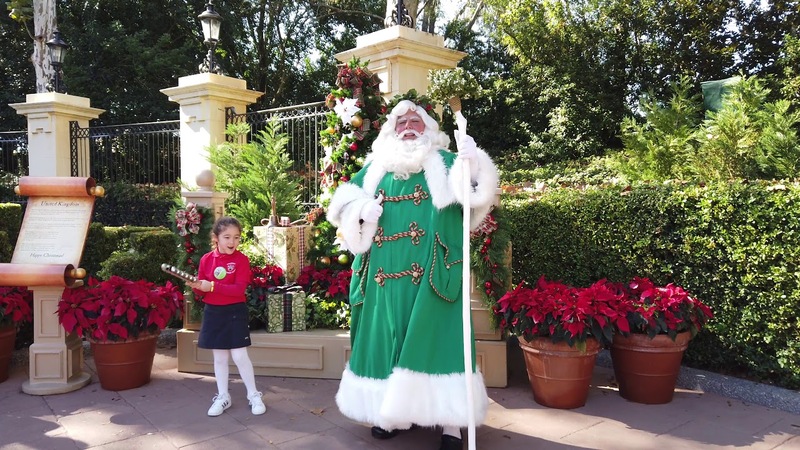 Nov 26, 2014 in "Epcot International Festival of the Holidays"
Here is the full line-up and schedule of the 2014 Holidays Around the World at Epcot entertainment. All entertainment is included with regular park admission, park hours are extended to 9:30pm during Holidays Around the World. With Peace on Earth Finale 9:30pm, from November 28 to December 30 2014. A unique blend of the soulful expressiveness of Gospel and Inspirational Music with the sounds of Jazz, R&B and Urban Music. 1:15pm, 2:25pm, 3:25pm, 4:25pm. Explore holiday customs from the various regions of Canada on a musical tour of the Great White North. 11:20am, 12:10pm, 1:05pm, 2pm, 3pm, 4:30pm. 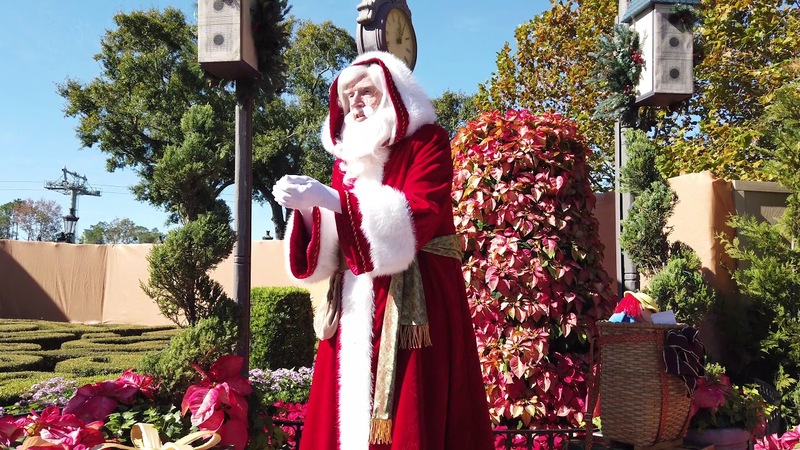 Join Father Christmas, as he rings in the season, with traditions of the United Kingdom and good cheer. 12:30pm, 1:25pm, 2:20pm, 3:20pm, 5:40pm, 6:30pm, 7:30pm, 8:30pm. Discover the magic of Père Noël and the joy of the season through a Christmas letter from a child. 11:20am, 11:55am, 12:30pm, 1:15pm, 2:05pm, 3:30pm, 4:20pm 5:05pm. 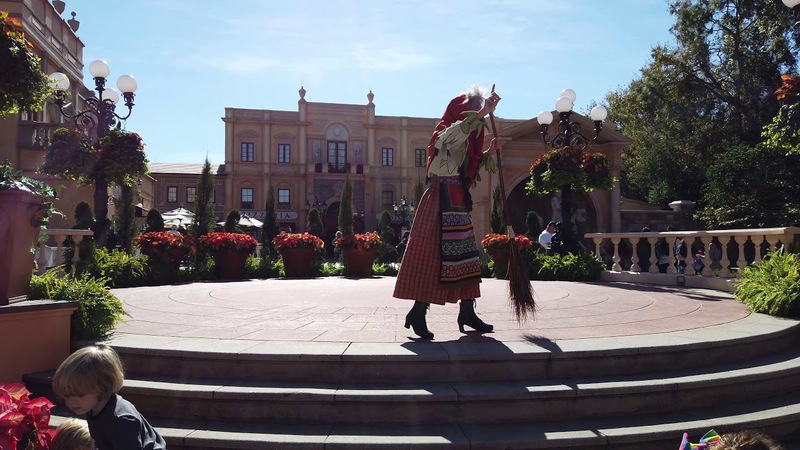 Take a journey through seasons of holidays in Morocco, where celebrations are “the spice of life!” 12:30pm, 2pm, 2:45pm, 4:20pm, 5:30pm, 6:05pm, 7:20pm. Hear the fascinating story of the Daruma doll and the Japanese customs of the New Year! 12:10pm, 12:50pm, 1:35pm, 2:20pm, 2:55pm, 3:45pm, 4:45pm, 5:55pm. Meet the kind-hearted witch who arrives on the Eve of the Epiphany to grant gifts to good children. 12:35pm, 1:30pm, 3:20pm, 4:15pm, 5:50pm, 6:40pm, 7:40pm. The colorful Chinese Lion Dance brings good fortune and happiness to all during the Lunar New Year and Lantern Festival. 11:30am, 12:30pm, 1:30pm, 2:30pm. Enjoy the season of joy and fun with Sigrid and Julenissen, the mischievous Christmas gnome. 2:!5pm, 3pm, 3:40pm, 4:30pm, 5:45pm, 6:30pm, 7:05pm, 7:45pm. Experience the spirit of Kwanzaa, a celebration of unity, creativity and pride. 11:!5am, 12pm, 12:45pm, 1:30pm, 2:15pm, 3pm, 3:45pm, 4:30pm.